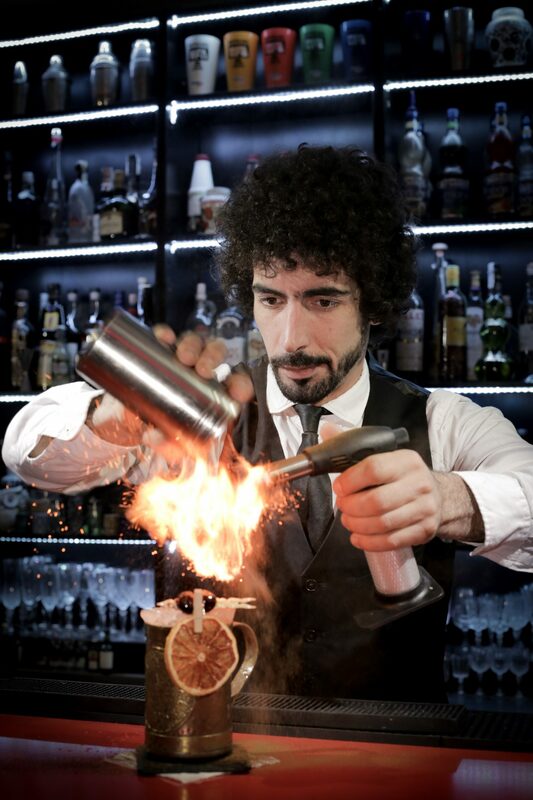 Our bartender hire Surrey and flair bartender hire Surrey continue to be our most called upon services across the UK. 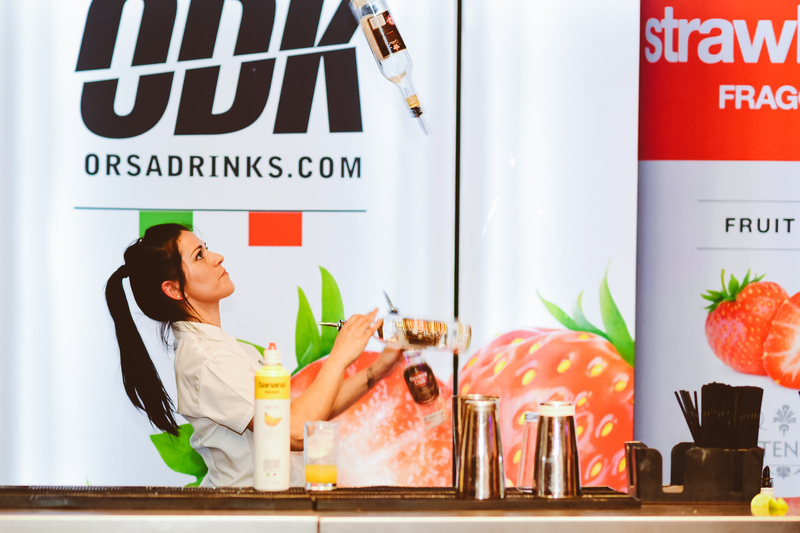 Although we operate throughout the UK and the Costa Del Sol in Spain, Surrey has been the most popular for mixologist hire. Any party, celebration or event that involves an array of drinks is more than just about the event, it is about creating an atmosphere and memories that the guests will take away with them forever. In our opinion there are a number of different elements that need to come together to achieve this, a key element being bartender and bar hire. Food and drink are a main stay at almost any event of this kind, tasty food and good drinks will put your guests at ease and work as a catalyst in creating an enjoyable and relaxing atmosphere. If you opt to hire staff for your event, be it catering staff or bartender hire, it is just as important that they emulate the mood and the feeling; working towards creating the atmosphere you desire. Here at Ace Bar Events we understand that. 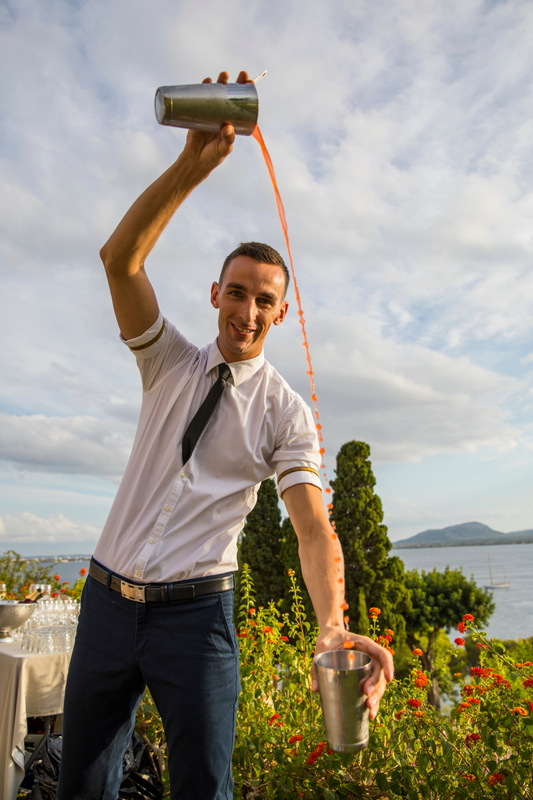 When we provide some of our professional flair bartenders or mixologists for an event we go as far as to brief them on every element, from the drinks they will be serving to the nature of the event- be it a corporate team building day, a private birthday party or celebration. These details make all the difference. 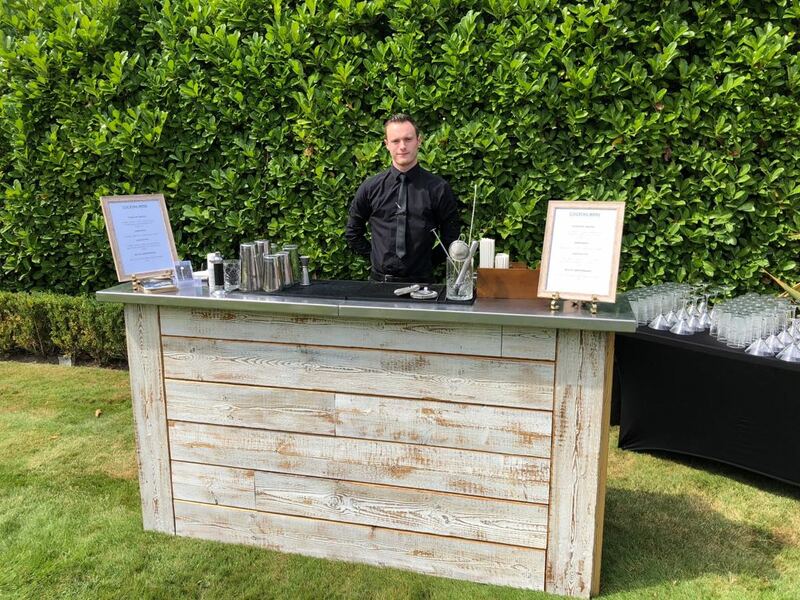 As we said before, the beautiful county of Surrey certainly seems to be one of the most popular destinations for our Mixologist hire Surrey and other bar hire and cocktail services. We had the pleasure of supporting another event in Weybridge recently which took place at a private residence. Only a small event, there were 50 guests in attendance with just the one bartender hired, who spent the evening behind one of our crafted mobile bars preparing and serving a range of delicious cocktails. 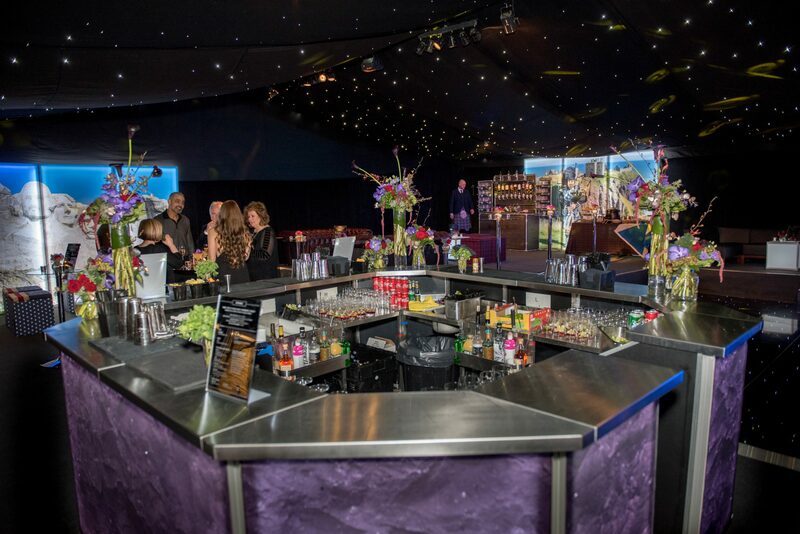 Weybridge isn’t the only area in Surrey that has seen our services in action recently, We featured this wonderful Purple Slate LED backlit mobile bar in Walton-on-Thames for around 200 guests at a 50th birthday party (above); whereas this delightful 2 meter craft wood bar served as the perfect cocktail bar for a garden party in the Summer (below). 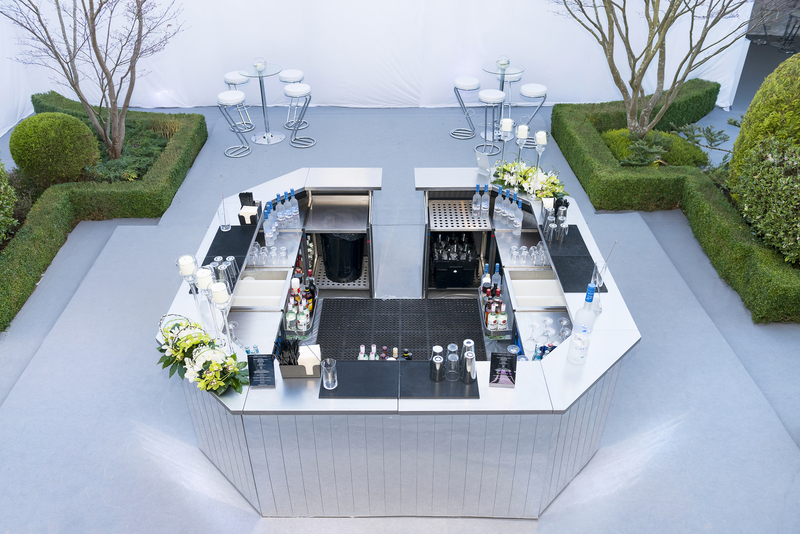 Saving the best of our bartender hire Surrey until last, this island mirrored bar featuring four flair bartenders for private brithday celebration for around 240 guests in Kingswood, Surrey (below). Remember when it comes to bartender hire, make sure to go with a company who can give you a good selection of men and women who are professional bartenders. We don’t just do bartenders for hire here, we do fun bartenders for hire. If you have had an experience or attended an event with bartenders who clearly don’t want to be there, you will know exactly where we are coming from. 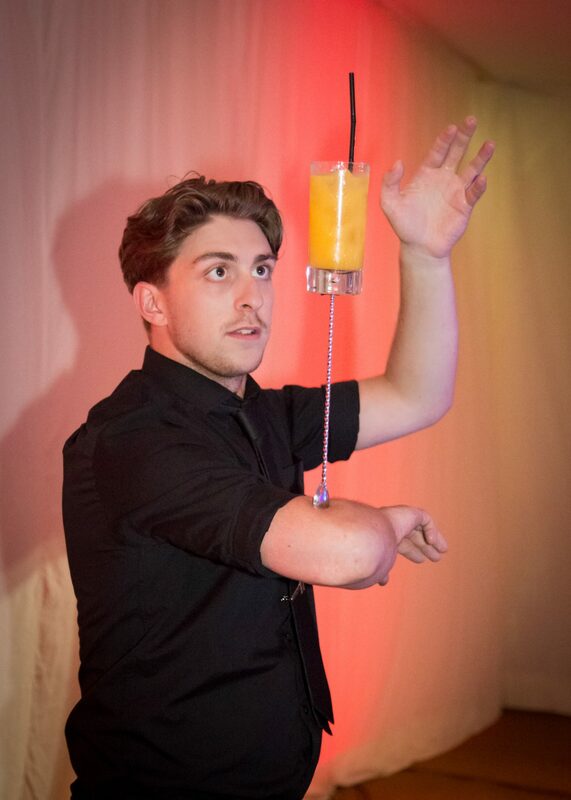 We encourage our bartenders to have fun on the job, whilst still remaining professional of course. After all, a top bartender will provide more than just great drinks, they will also do their best to make sure everybody they serve is enjoying themselves and having a good time. If it transpires that they are not, well the best bartenders will take this as a challenge. There is nothing like a good cocktail to get you in the mood to mingle and dance. If you are interested in our Bartender Hire Surrey, Mixologist hire Surrey, Flair Bartender Hire Surrey – mobile bar hire, or anything else. Then please do not hesitate to get in contact!